Way back in 2013, A.N.N.E was funded on Kickstarter. Developer Gamesbymo originally planned on a Wii U release, but has unexpectedly decided to go in another direction. The developer confirmed on Kickstarter that A.N.N.E will now be released on Switch instead. Nothing else was said beyond that, though we do know that the Wii U version has been officially cancelled. 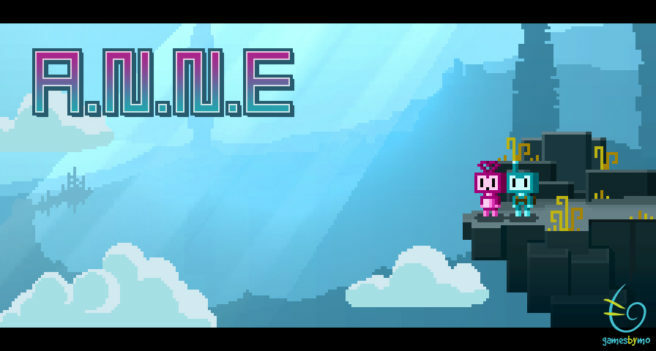 A.N.N.E is an exciting game blending platforming and a shoot’em up gameplay with a touch of RPG elements. A.N.N.E’s style is inspired by 8-bit and 16-bit era games; an anthology in pixels that will take you back to the early days of video games using current technologies running in glorious 720p and with a dash of physics gameplay. You are a robot named Number25, who has been accused of being in love with A.N.N.E – another robot. Love amongst robots is forbidden and robots affected by the “love virus” are disassembled and disposed of, on a frozen world, far away. You have to find A.N.N.E who was scattered on planet Gomi. There you will travel on foot or on board your ship to explore mysterious places, solve puzzles, collect crystals to upgrade or buy new equipment and face enemies in order to retrieve and reassemble A.N.N.E. A challenging open world adventure like you’ve never seen before.